What's this? Another Post? So soon?! What's going on!? Oh I'm home-home for a few weeks so I have fewer distractions *Cough*Persona5*Cough* Also I bought a knitting magazine today, (Yes I'm talking about knitting in paragraph one! This blog has gone insane) And it literally has 30 patterns in it, seriously online patterns are extortion! It only cost me a fiver, and it's got tonnes of patterns in it and that's not even including the free book for baby knitting, (which I will likely never use I am not a fan of human maggots) comparing that to some patterns online that cost 2 quid each (Although I rarely buy patterns I would much rather make my own after looking at a basic pattern) it feels like I got a bargin. Also the next one has some nice vintage looking patterns so I might subscribe. Although it seems like a bit of a mad thing to do because I already have one huge project and I don't really need more patterns that I won't use.... But the again there is a really nice mans vest that I could knit for the BF. Oh knitting why do you produce such horrible dilemmas? 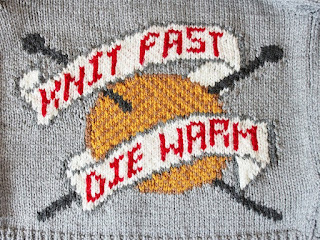 at least I have more to knit now GoT is over. 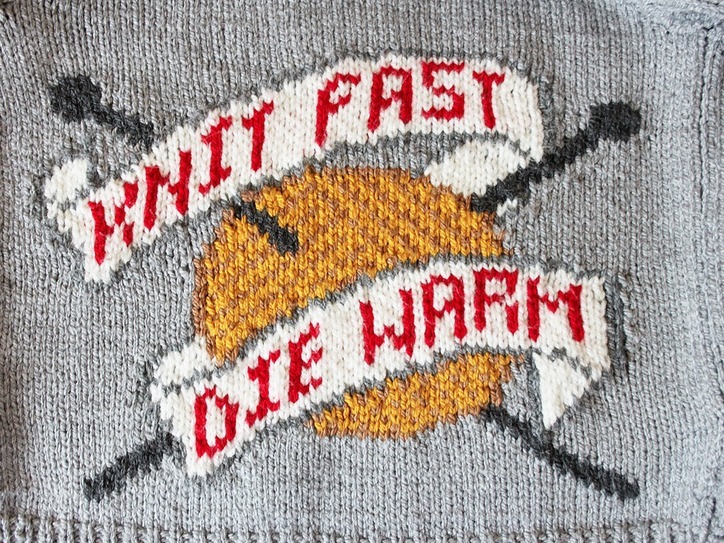 I must knit faster, winter is coming! Anyway today's swatch and a new yarn this one is 100% cotton so it behaves slightly differently from what we've seen before. Cotton is slippery so looser knitters might have some difficulties with it, this yarn also had the (annoying) propensity to split. Cotton also is not stretchy unlike wool so it's not really suitable for anything that needs to draw in and it also tends to spread a little, because it's slippery. 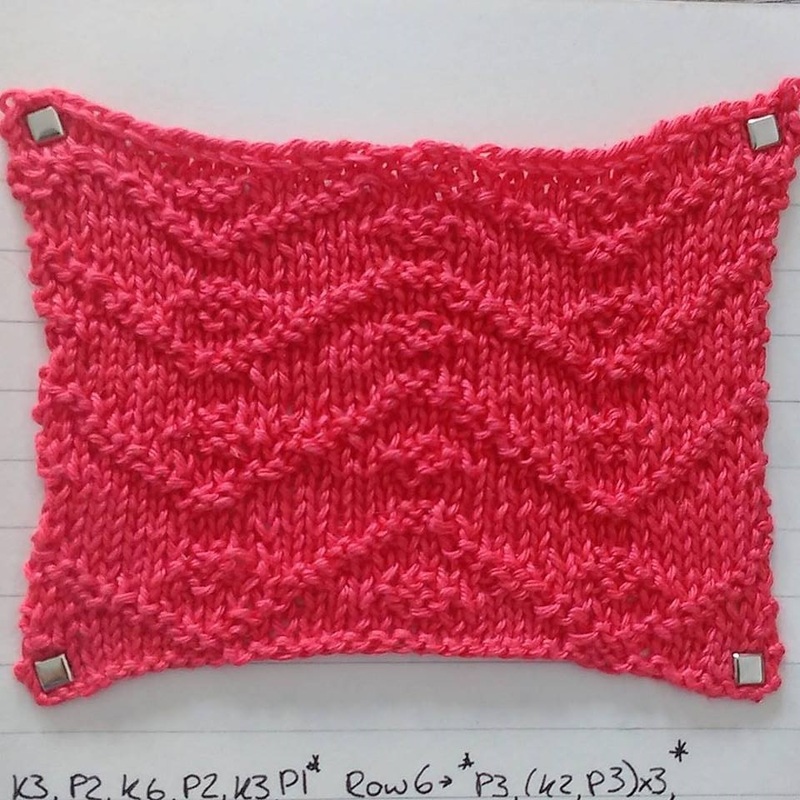 The pattern is pretty basic chevrons made of purl stitches with dot shaped welts in between. 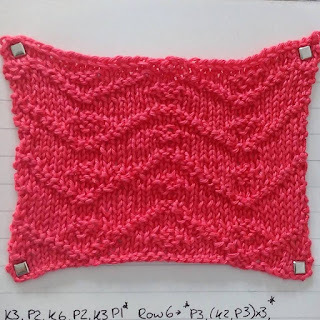 Honestly this pattern is a bit meh in my opinion but often the patterns show up differently on different yarn it may look better on a more elastic yarn. Well that's all for today I guess I have to get on with more patterns as I wait for Cook Serve Delicious 2 to come out. 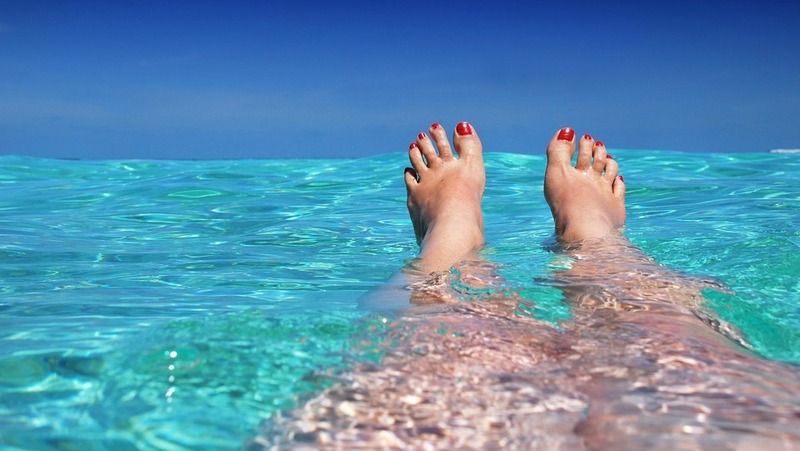 Oh and I should say I'm going on holiday (again) soon and I dont know if I'll take my laptop, so if in a few weeks I suddenly stop posting it's because I'm in the pool in majorca. Happy Knitting!